Inspired by Ta moko, face and body art by the Maori of New Zealand. The Maori created the war Haka dance to intimidate their enemies before battle, and Ta moko was an important part of Maori life. Ta moko was carved into the body instead of tattooed and was a key step in entering adulthood. 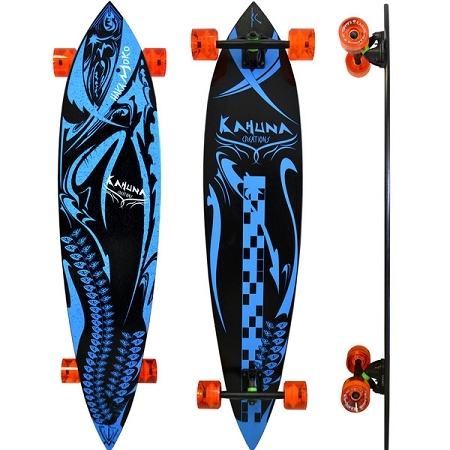 The New Haka Moko longboard is the ultimate in control, stability and soul riding. Whether you are a beginner or a longtime shredder you will absolutely be stoked on this board! The ride is as smooth as glass. The grip is black lava sand - no grip tape! The sand provides an amazing feel while still giving you the grip you need to shred.